to be surrounded by your own garden of eden. 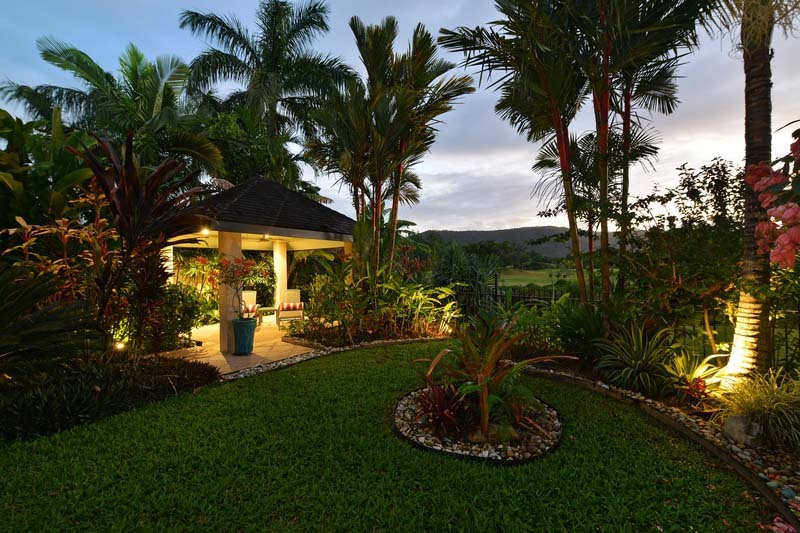 There are so many quiet nooks to relax within this villa, it will be possible to ‘escape’ and find your own area in the garden or courtyards to chill out, or perhaps the upstairs balcony would be perfect for your evening champas while you watch the sun go down. 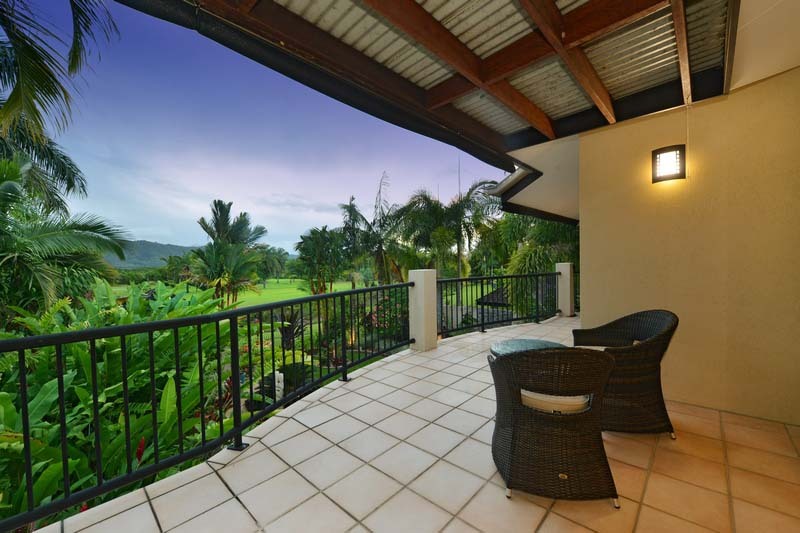 Sanctuary at Thornton is a beautiful, spacious property with stunning vista's across our tropical landscape. 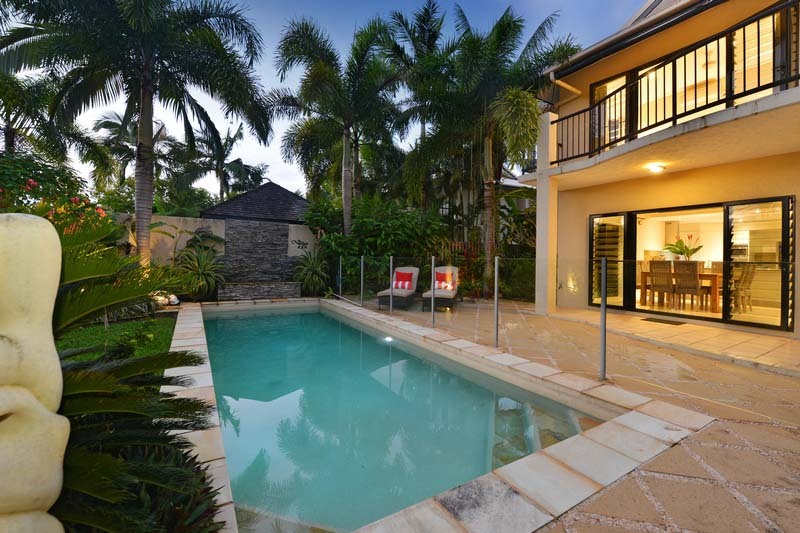 This 4 bedroom, 4 bathroom Villa offers everything you will need including optional pool heating, free wifi, NETFLIX and secure parking. 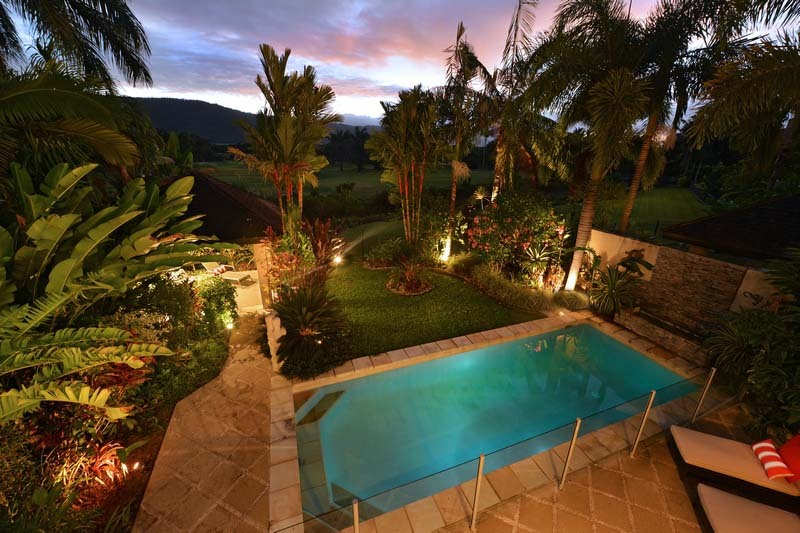 Located within the stunning Thornton West gated estate, surrounded by lush tropical gardens, this villa exudes a stylish inviting ambiance. The ground level is for living and relaxing with floor to ceiling doors leading onto the outdoor dining patio and a separate courtyard. 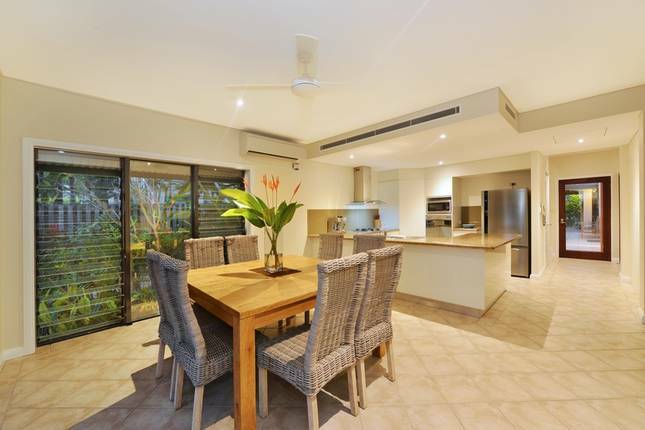 A sophisticated and fully equipped kitchen is complimented by a spacious lounge and well lit dining area. 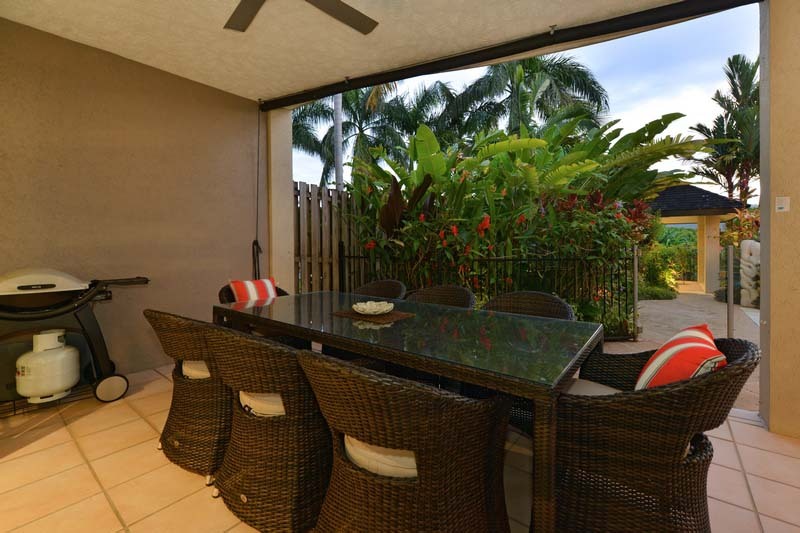 This leads directly onto the outdoor patio with dining setting and your private pool. 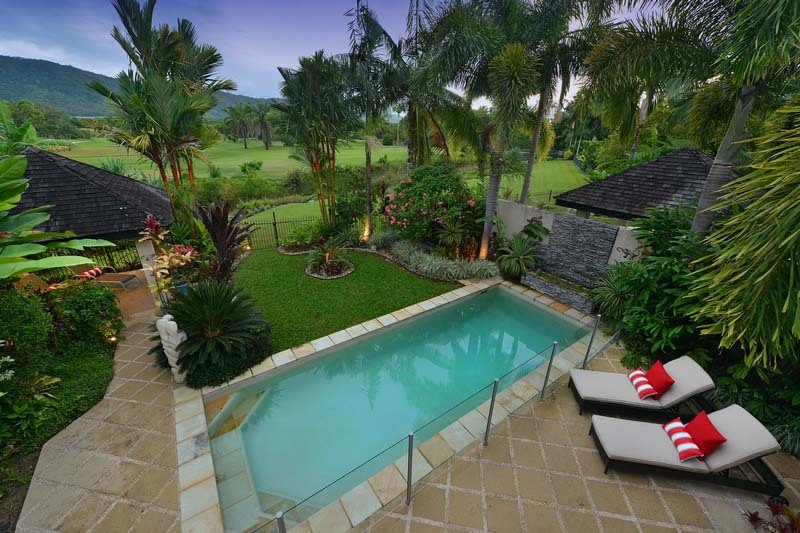 A grassed area and pool pavilion is positioned past the pool. 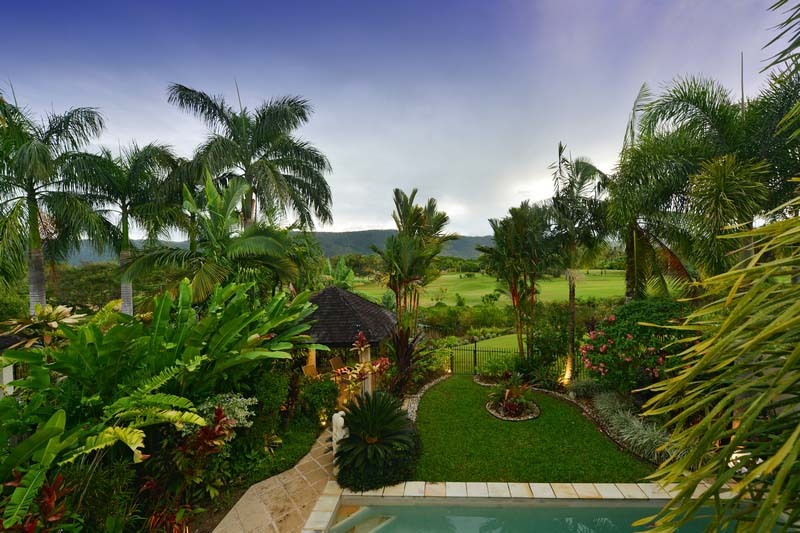 Located within the stunning Thornton West gated estate, surrounded by lush tropical gardens this villa exudes a stylish, inviting ambiance. 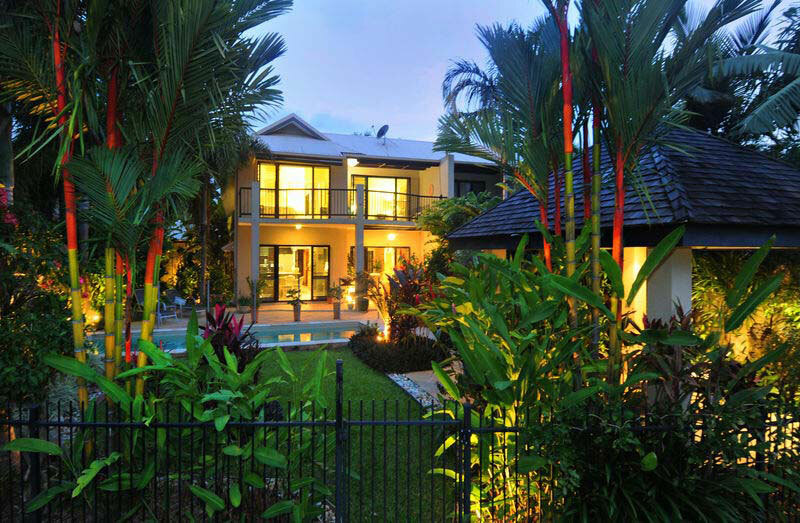 Access is gained through a secure port-a-co leading into your private court yard surrounded by tropical gardens. 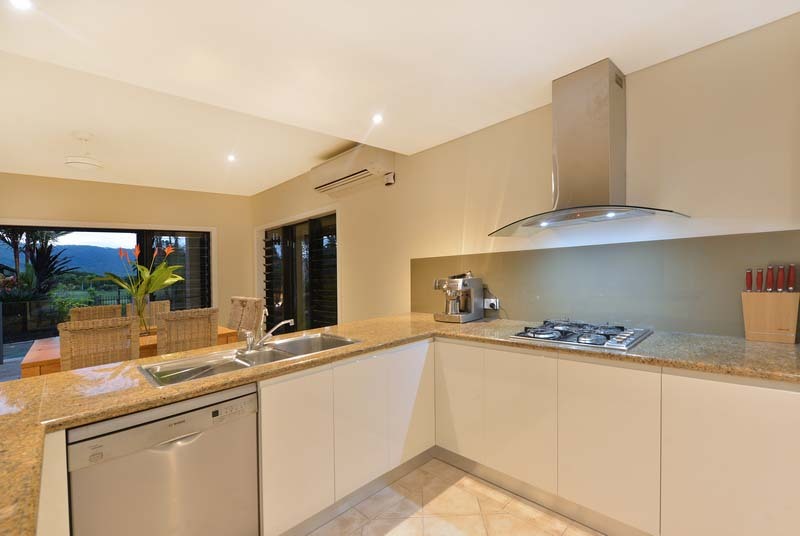 A spacious living and dining area includes a sophisticated kitchen, fully equipped for all your requirements. In front of the outdoor patio is a lovely garden and pool where an inviting cabana offers a lounge setting and sun lounges. 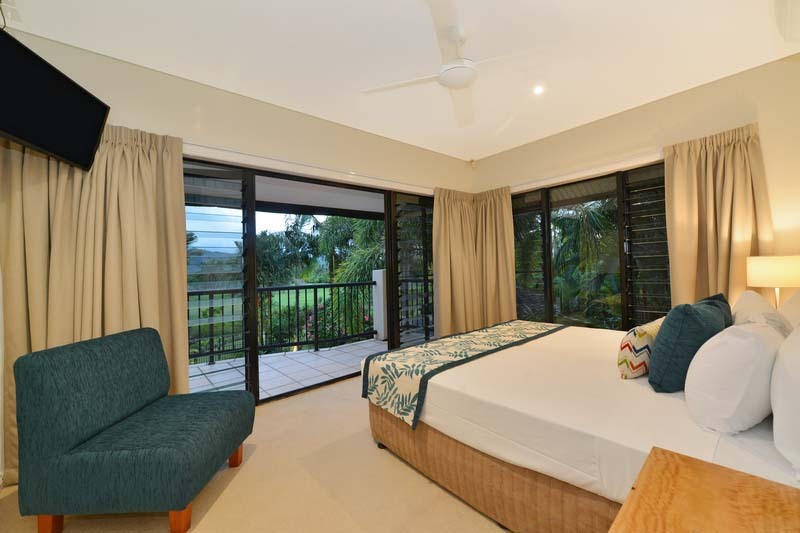 A balcony with stunning views over the Mirage golf course is accessed by 2 of the upstairs bedrooms. 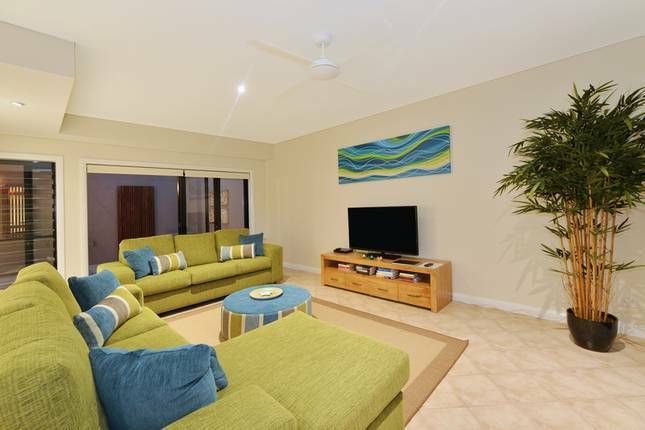 Perfect for an evening cocktail to watch the sun set! 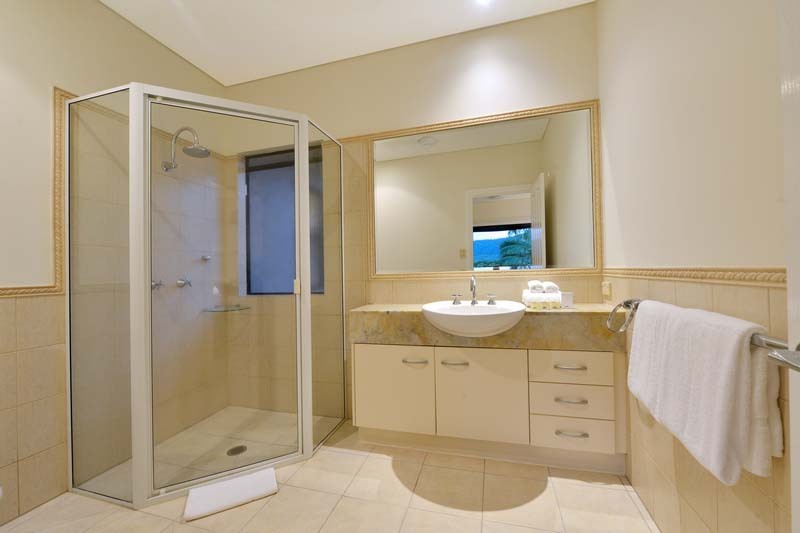 If you want space and privacy for everyone to enjoy! 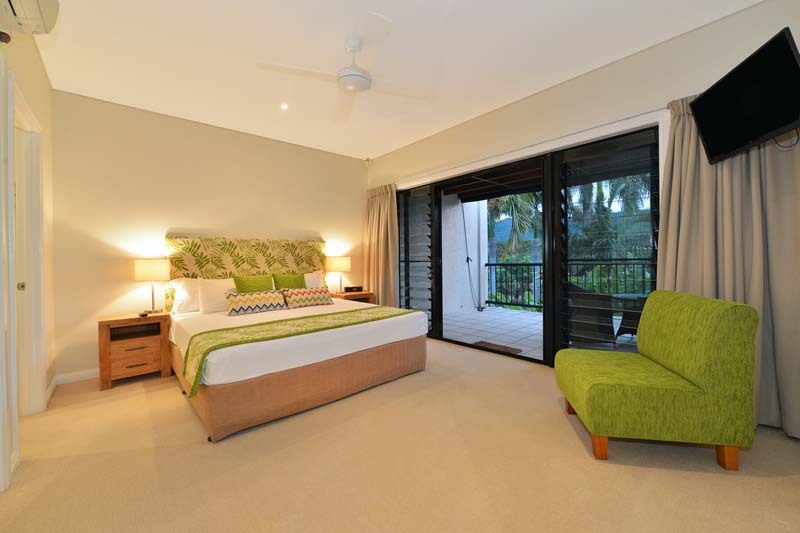 The ‘rainforest garden’ surrounds the heated pool, the view from the backyard is soooo relaxing….oh and it has recently been completely refurbished, the ground floor seperate bedroom pavilion is ideal for grandparents / teenager /nanny with their own courtyard, ensuite and tv. 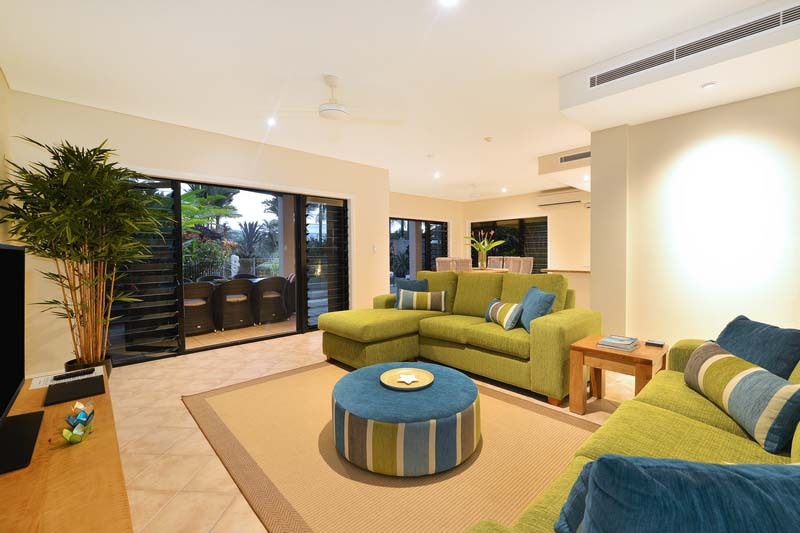 A truly excellent property for family accommodation in Port Douglas. A 5 night minimum stay applies to Sanctuary at Thornton. 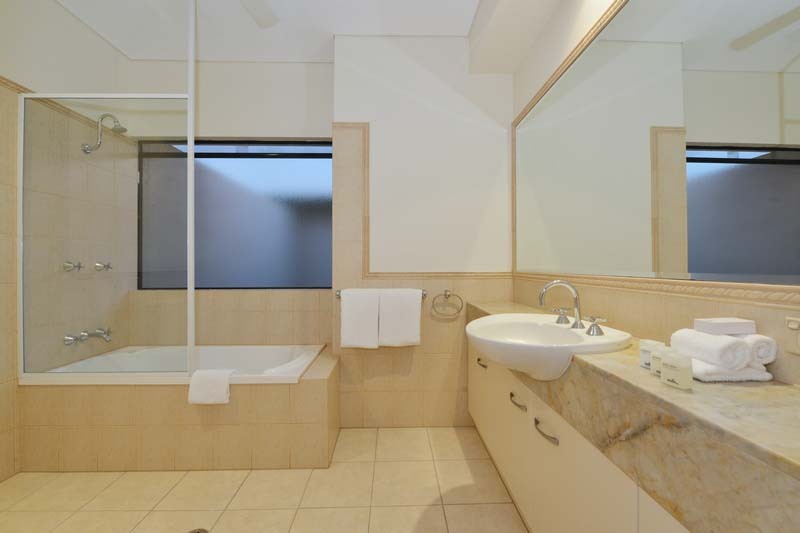 3 and 4 night stays at a higher rate will be considered on request. 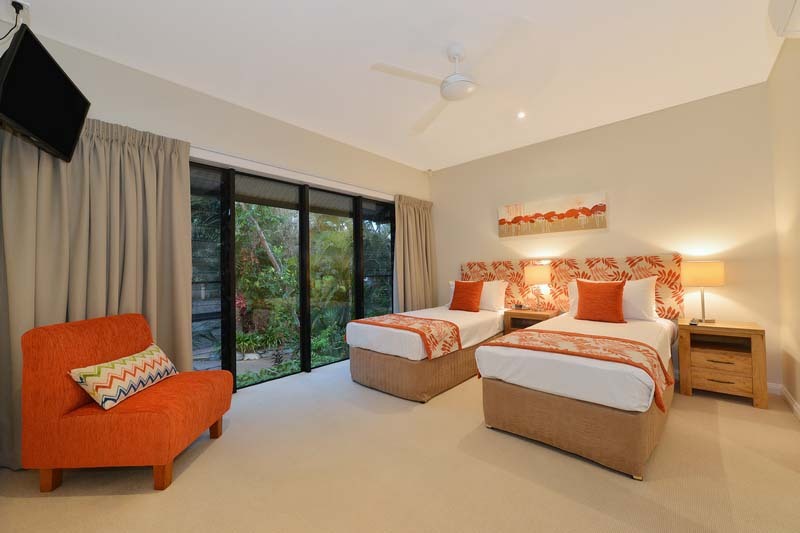 "It is the most amazing and beautiful place we have ever stayed in. Thank you for meeting us and welcoming us into your amazing place. All the small details mean the while world to us."